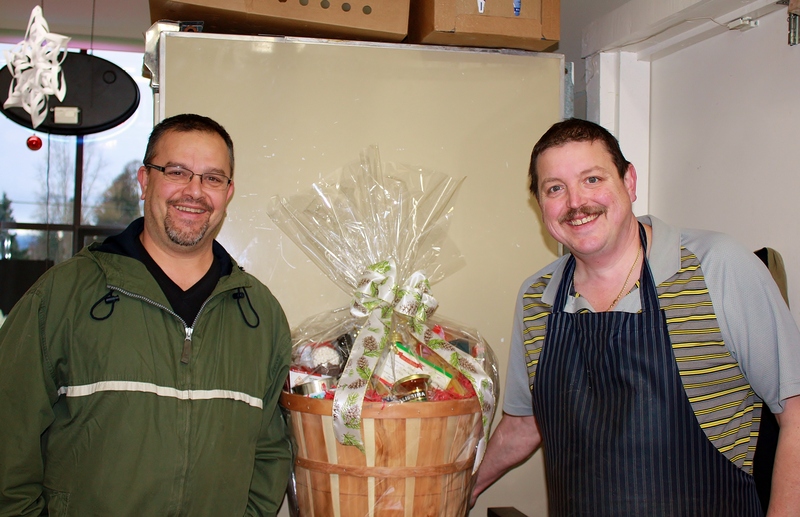 Congratulations to John Smit of Langley on winning the Shop 248th Street gift basket at Bonetti Meats! Its full of goodies from us, Krause Berry Farms, JD Farms – Specialty Turkey Store & Bistro, Langley, BC and Kensington Prairie Farm. Here he is collecting his prize from Carlo this morning. Congrats John!